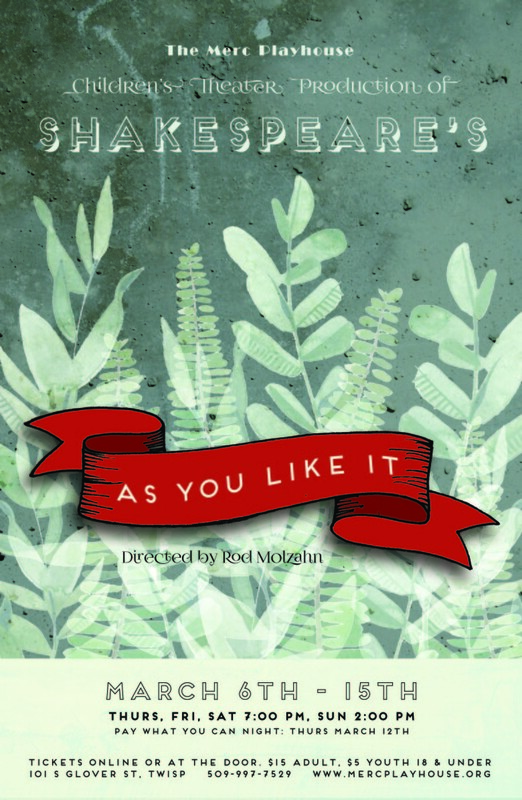 As You Like It considers the age old question of whether there is more good in city life or country life. Duke Frederick banishes his older brother, Duke Senior, to the Forest of Arden (Robin Hood’s old forest) along with the old Duke’s daughter, Rosalind and the young Orlando, son of another enemy. They are followed to the forest by Rosalind’s friend, Celia, and Touchstone the clown. Add servants from the court, women disguised as men, shepherds, a country wench and mistaken identity and you have one of Shakespeare’s most loved comedies. Director Rod Molzahn has been bringing Will Shakespeare to life for audiences throughout the United States and Canada since 1986. He performs regularly in theatres, schools, universities, faires, and festivals. His CD recording of “A Visit with Will” has received Awards of Excellence for Writing and Creative Concept and for Characterization in the performance of Will Shakespeare from The Communicator Awards. With headlining support from the Winthrop Kiwanis, Methow Valley children ages 8 to 14 perform onstage at The Merc Playhouse, March 6th through March 15th. The Thursday, Friday, and Saturday shows starts at 7pm, and Sunday show at 2pm. Doors open thirty minutes prior to show time. Enjoy “Nickel Shakespeare” scenes before the show and during intermission. A little rusty on your Shakespeare? Click here for a story synopsis. DATES: March 6-15, Thurs, Fri and Sat, 7pm and Sun, 2pm. “Pay What You Can Night” is Thursday, March 12at 7pm TICKETS: $15/adults, $5/children. Available at the door or online at mercplayhouse.org LOCATION: Merc Playhouse, 101 South Glover Street, Twisp.